This past February, with the release of React Native 0.42.0Martin Konicek (@martinkonicek) gave us a gift. And as far as I can tell, that gift has pretty much been underappreciated and underhyped. Let’s change that! Simply put, this allows you to create custom, reusable, sharable react native scaffolds. Now tweak the template however you like, adding navigation, adding whichever state management libraries you want, getting your files and folders setup exactly as you like, etc. As I mentioned before, you can include any native dependencies you like as well. Go crazy and have fun, but not too crazy because remember, this is suppose to be the base project all your future projects will be derived from. 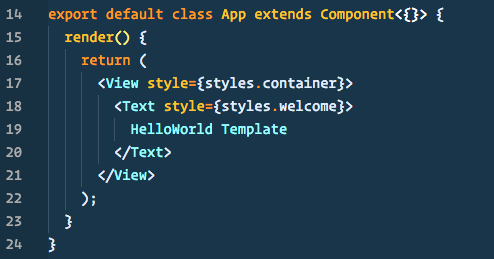 For my geirman template, I’m going to keep things simple and install just one dependency. “HelloWorld” is a magic word, as this will be automagically replaced with the name of your app. This is why we need to make one more change to the template’s index.js to make sure it all works properly when we use this template. Now we get to the fun part, templatizing what we’ve done. Let’s start by adding a new file called dependencies.json to our project root. in that file, you’ll create an object that defines any dependencies you installed from the npm registry. You can copy those from your package.json file, minus the standard react native dependencies. My dependencies.json ended up looking like this since I installed just the one dependency. And let’s delete the nativeios and android directories too. As I mentioned earlier, to use the template you’d simply pass the --template flag to the react-native init command along with the location of your template. 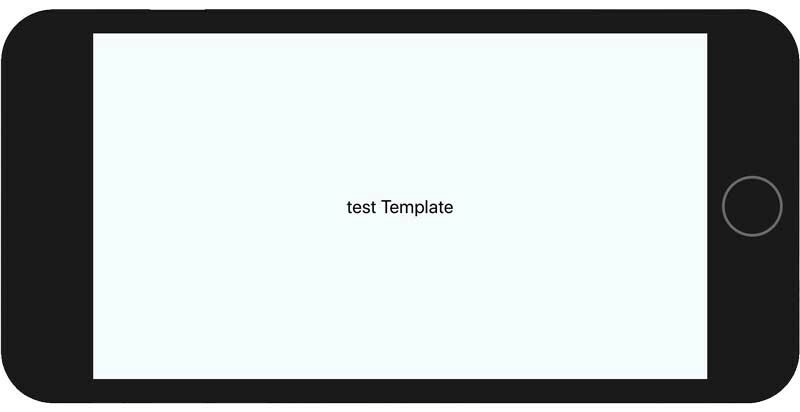 Your template can be called from npm, file://, http://, https://, or git://. When installing by file://, http://, https://, or git:/ your template can be named whatever you like. It’s only when installed by npm that it matters. All dependencies will be installed for you, including native dependencies which will also be automatically linked, so there’s no need to runreact-native link yourself afterwards. I haven’t written much, so if you enjoyed this article, give me a few claps, leave me an encouraging comment below, share it on twitter, etc. I’d appreciate the encouragement and would love to hear from you.